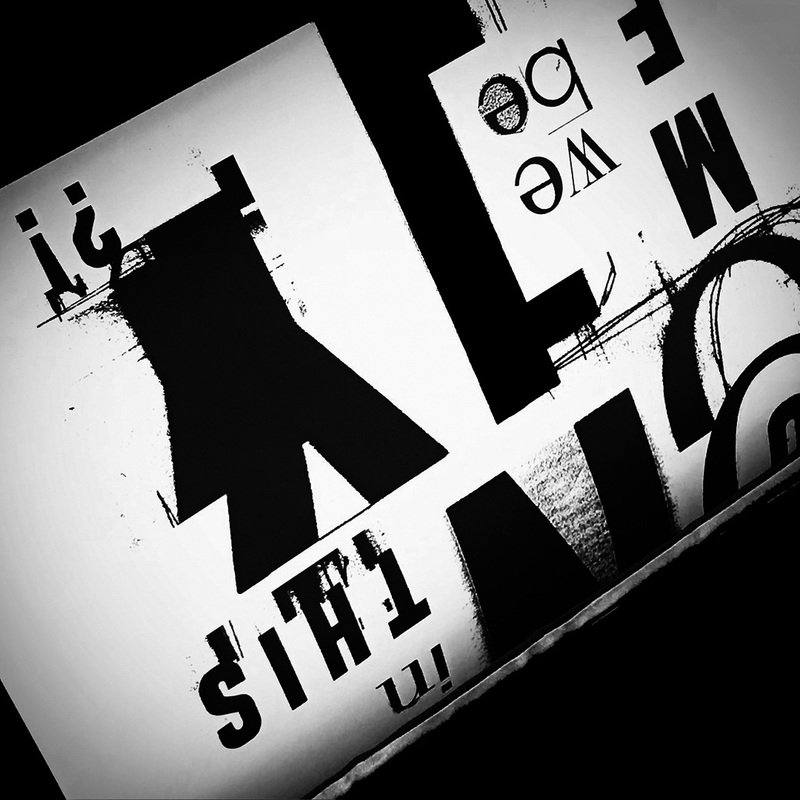 As a conceptual framework and formal constraint, I use assemblage in making connections physical—exploring my condition as a graphic designer. I engage in the making process and prepare content for production: type selection, formal investigation, concept development and physical output to establish the most specific and distilled presentation. For content, I look to American society and culture. 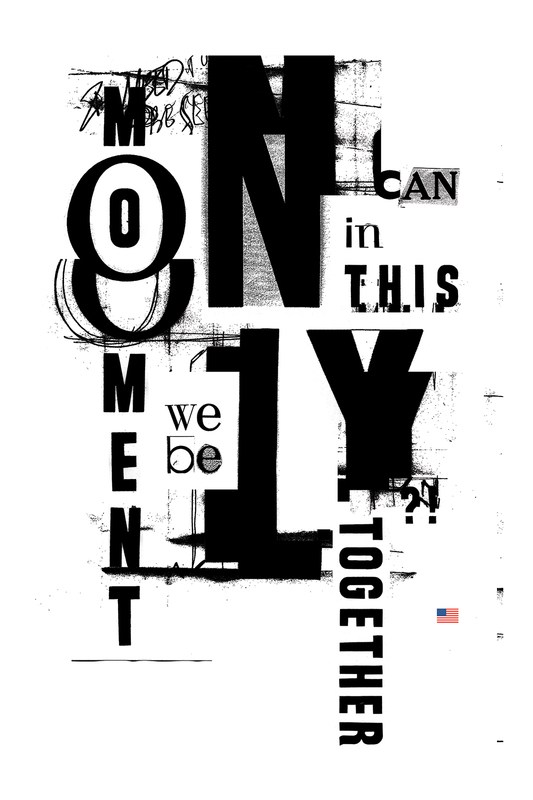 Typography is co-opted from mass media to empower a new dialogue. Language that is battered, bruised, torn and tormented is re-assembled in pursuit of a metaphoric and literal objective—the process observed in the making and the result. The result asks and answers a pointed question in a social climate where righteous indignation rules the day. A rhetorical statement in a time where truth is spun out of thin air rather than crafted from experience. A dubious reminder that every interaction, or perceived intention, another chance to be better than before—the true measure of character. A moment to accept or reject, to be present, to listen, to see, to think, to engage, to remember, to be human, to be an American and to be me. The challenge and a restraint for this piece lied in not using imagery as representation. The process was constructed to find a personal depiction from a leading question: How can the language I use reflect my character? 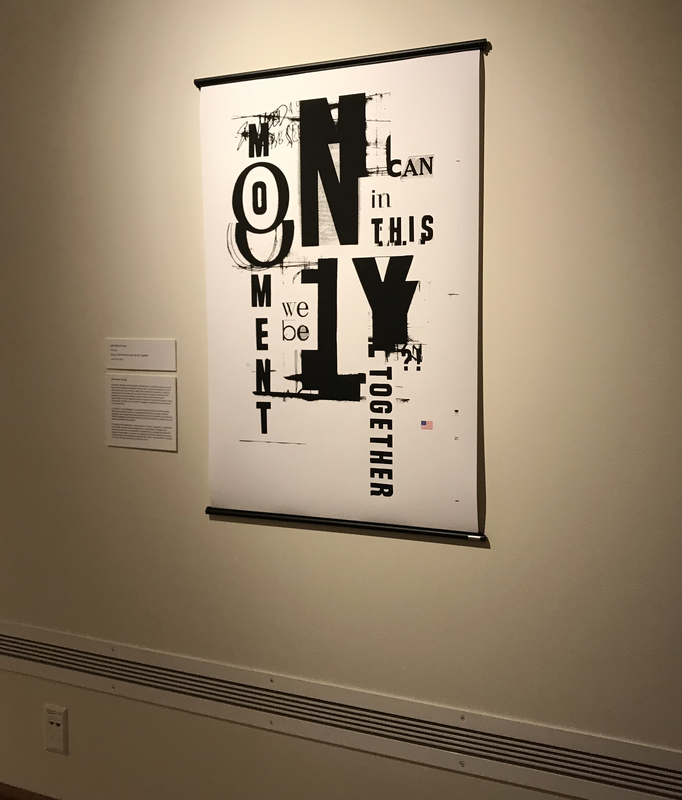 The piece was created for inclusion in the 2017–18 NIU Faculty Biennial Exhibition presented at the NIU Art Museum. The show included scholarship by current faculty from all divisions of the NIU School of Art and Design and highlighted artistry and research.